On August 31st，IFA 2018 was held in Berlin. 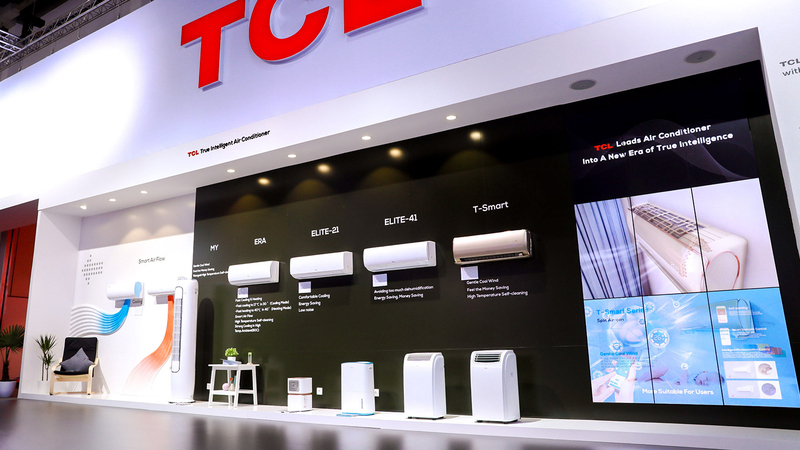 Among 1,814 exhibitors, TCL AC was the only brand which was awarded the IDG Specially Recommended Product for T-Smart series at this exhibition of the world's latest intelligent technology and consumer electronics. 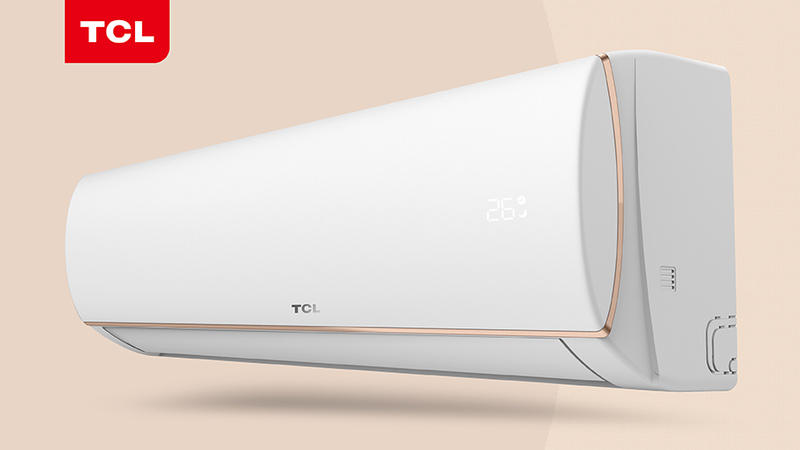 T-Smart Series is the new arrival of TCL flagship intelligent AC in 2018. The series largely improved the user experience in three aspects, including intelligent comfort, intelligent health and intelligent energy consumption. 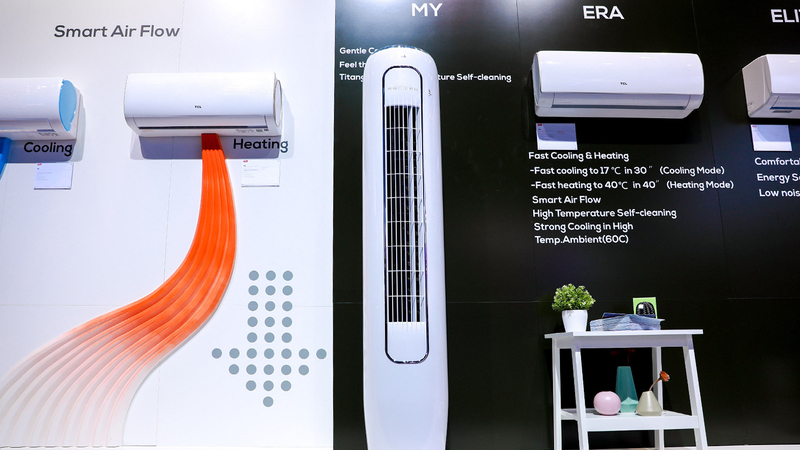 The air satisfaction rate of the series is increased to 92% with advanced AI algorithm and innovative design, comparing to other ordinary air conditioners with only 60% satisfaction rate. MY Series displayed this time is the most compact floor standing air-con with the covering area of 0.124m2. The integrated high gloss injection molding panel is decorated with a dissembled blue ‘crystal crown’ on the top, besides, its rim and bottom are hyper silver-plated. MY Series is equipped with HD hidden LED display and high touch-sensitive button. 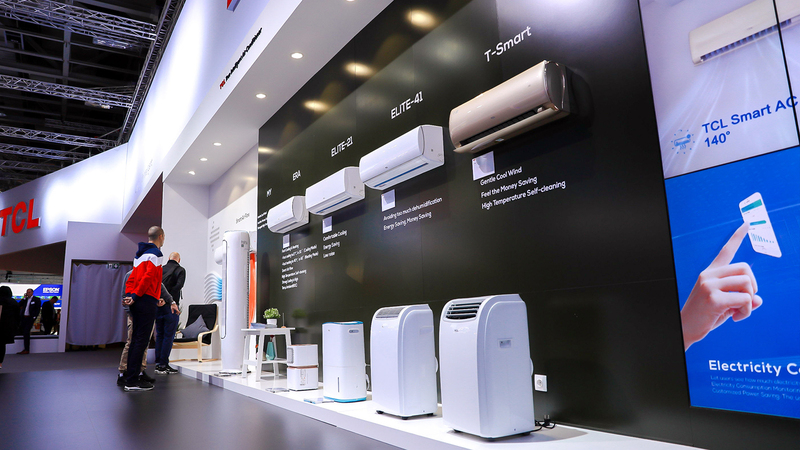 Era series, the customized air conditioner for global market, caught everyone’s eyes for its exquisite design and intelligent features at the exhibition. White, as the mass-tone color of panel, showing a sense of fresh and nature. The slim golden rim matches well with the high-end quality. In cooling mode, the outlet temperature of Era series will be reduced to 18℃ in 30 seconds, and increase to 40℃ in 60 seconds in heating mode. Air-cooled electric control box technology is applied to effectively cool down temperature of electric parts in outdoor unit to keep strong cooling in 50 ℃ambient and maintain cooling in 60℃. Aimed at eliminating the pain points of ‘air conditioner diseases and polluted air’, 55℃ high temperature self-cleaning and filter cleaning reminder function of Era series help to clean away the dirt on the evaporator and filter to provide the users a healthy life. Up to 72 modes of air supply effectively increase the air satisfaction rate by 25%.What makes Era series shine brilliantly is its intelligent core. Intelligent self-adaptive and self-learning system enables the air conditioner to quickly and accurately run the optimal modes to adapt to users’ habits. In addition, users can check and set the electricity consumption in APP to realize true energy-saving life. Elite series, the most popular air conditioner for oversea market, has kinds of designs to satisfied different customers. In noise reduction, usage comfort and safety, the series have made a breakthrough. The optimized air duct reduce the noise obviously. Comfortable cooling function of the inverter models can keep the users cool while enjoying the proper humidity. In order to improve safety, Elite series adopts unique separated design between condensate water and electric circuit, which effectively prevents the leakage of electricity. To double the protection, the air conditioner is also equipped with the fire-proof electronic control box. 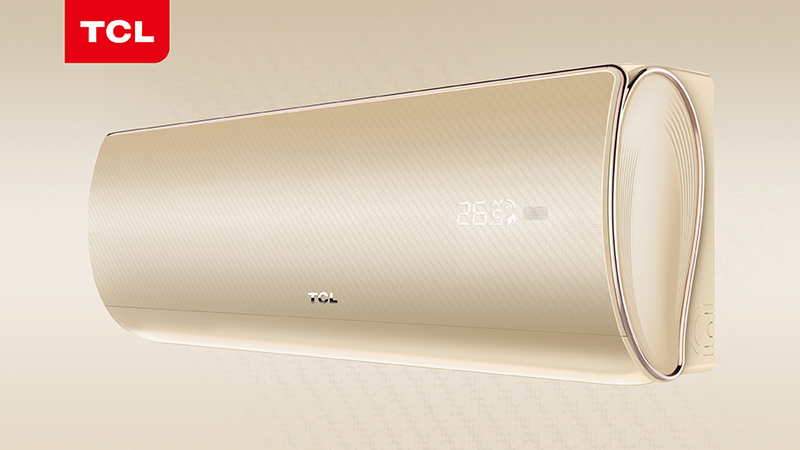 The showcase of TCL portable air conditioner and dehumidifier brings more surprises to the consumers. 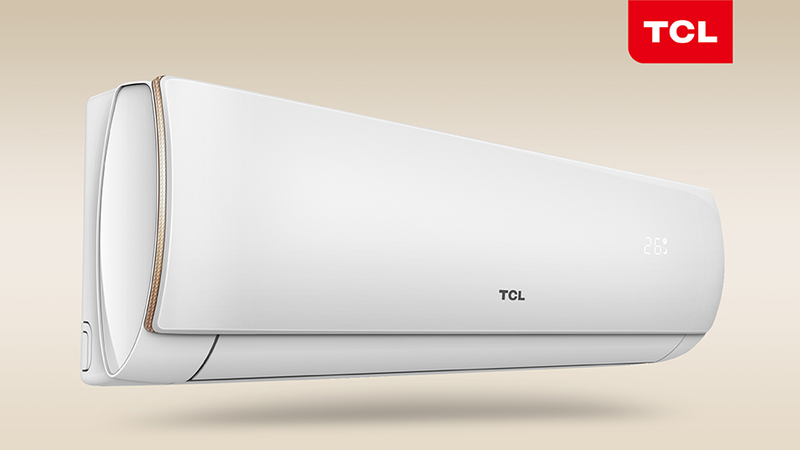 KA series with a unique top touch panel is one of the popular TCL portable air conditioner in Latin America and Southeast Asia. R series with black grinding panel and high-gloss handle is the new arrival of the year. This series is functioned with self-cleaning and 360° air supply, which has won the praise of customers in the United States and other target markets. Large dehumidification, automatic drainage and full water reminder functions of DEV and DEF series dehumidifiers, help users to reduce indoor humidity to the maximum extent and maintain a healthy and comfortable home. ‘Every Degree We Enjoy’, driven by the new brand strategy, TCL AC brings the exquisite products of ‘high appearance, high intelligent, high cost performance and high reliability’ to the world at IFA. TCL AC has truly satisfied the essence of consumers’ demands and expressed the ultimate interpretation of true intelligence.